With millions of apps and games, Google play store is the go-to app store for every Android user. It is reliable and secure, maybe that’s why not many users look for a third party app store. 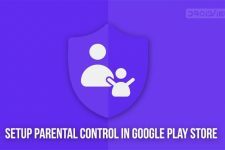 These stores may not be as popular as the Google play store but there is no denying the fact that each third-party app store offers something that the Google play store simply doesn’t. Why Use a Third Party App Store? Using a third party app store gives you more choice. 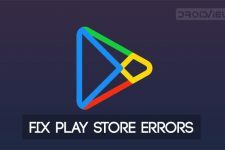 These stores house the apps that were not accepted by or removed from the Google play store. Some app stores give you access to region-restricted apps and games. These stores occasionally provide paid apps for free (legally) or offer heavy discount on them. Some app stores have app recommendation and app curtain system. The more you use it the better it gets. How to Install Third-party App Store? Third-party app stores are not available in the Google play store, you’ll need to install it from their respective websites. Since you’ll be installing it as an APK file you’ll need to enable “Unknown sources” in the security settings. Once it is done, follow the link provided in this article to install the app store that you like. Amazon Underground is the best Google play alternative, hands down. Not a single third-party app store can come close to it. Earlier Amazon had the policy of offering one paid app or game for free every day. But with the arrival of Amazon Underground, this policy has changed. Now it offers tons of paid apps and games for free with all IAP unlocked. How do the developers benefit from this? Amazon pays the devs based on how many minutes you use their apps. This, for sure, encourages devs to provide their apps for free. As of now, Amazon Underground is only available in the USA. Getjar was started when Android meant a robot and not a mobile operating system. It’s that old. 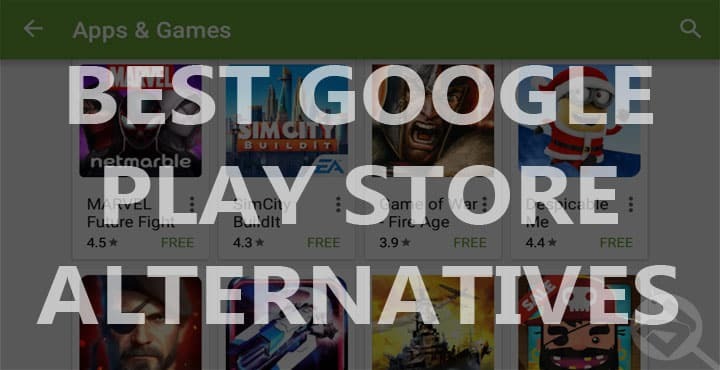 It still exists and is one of the best alternatives to Google play store. In fact, if you ever owned a J2ME or a Symbian device then you already know about it. 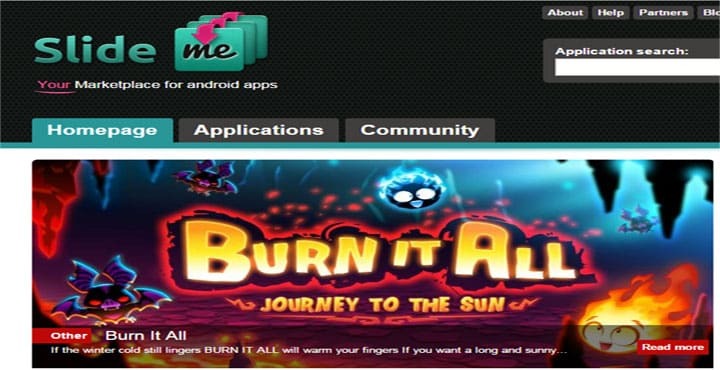 It has tons of apps and games divided into various categories, just like Google play store. It has an “App of the day” section to highlight some of the best apps in the store. 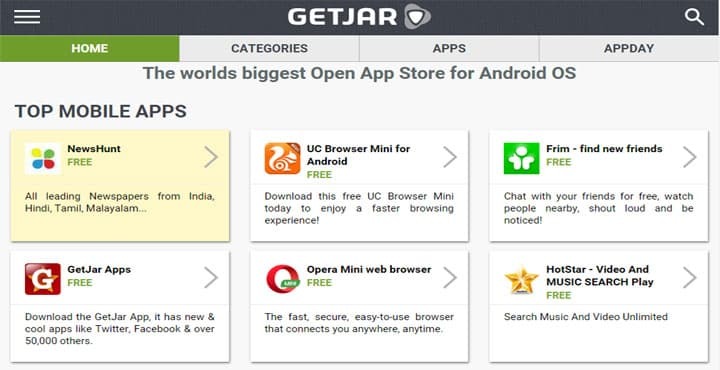 By installing apps from Getjar, you can earn credits which can be used to buy paid apps. 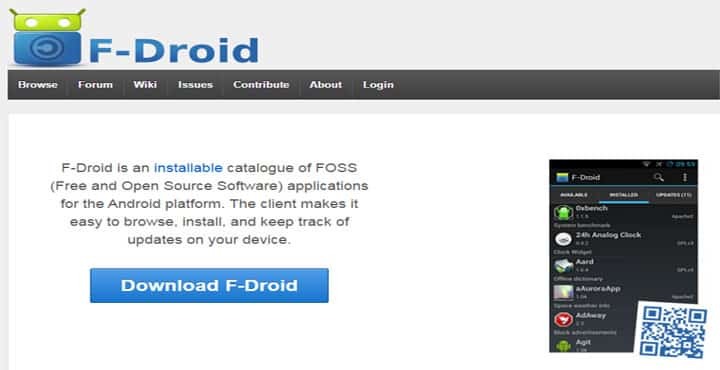 F-Droid could be considered THE app store for developers since it houses only free and open source apps. Anyone can access the codes of the apps, edit them, use a feature in their own app for free and without any restrictions. Getting an app with a virus is highly unlikely since all the developers are asked to submit their code and the F-Droid team makes sure that the code is virus free. Go ahead and try it, you might find some awesome apps that you won’t find in the Google play store. Google play store has tons of apps but not each and every one of them is awesome. There are a few copies of other apps or 20 apps that perform the same function. If you are tired of seeing tons of apps that perform the same function, you might want to try SlideME. SlideME is kept free of scam apps and junk apps. They prefer quality over quantity. The app recommendations and the curated list is also very powerful. The more you use it, the better it gets. 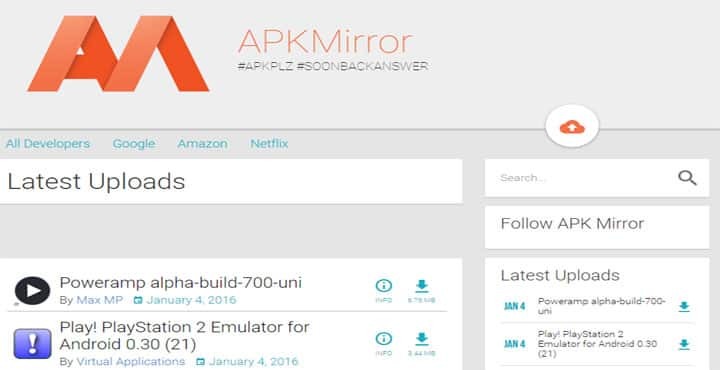 APK Mirror is not actually an app store, it is a website that hosts all the APK files. It is fast and reliable. All the latest APKs are uploaded as soon as possible. It also has a submission section where you can upload an APK file. To ensure the security of users, these submitted APKs are run through a few tests to ensure user safety. One thing which I like the most about it is that it keeps all the older versions of an app or a game. So if you feel like downgrading you can easily install APK of an older version of that app. Mobogeine, AppBrain, Aptoide, CNET, Mobango, Opera mobile app store, Yandex, 1Mobile, Softonic, itch.io; the list goes on. According to me, Aptoide is the 3rd largest android app store in the world, delivering 100+ million downloads to our community developers. Aptoide is useful, easy to setup and get nice result.